This Is Anfield spoke to siblings Tony and Helen Chan about Liverpool’s touching response after the Hong Kong Red was diagnosed with a brain tumour in 2017. Words spoken by Jurgen Klopp, and while they ring true, the very nature of supporting a club extends beyond just the 90 minutes on the field—as it can offer solace and a support system like no other. 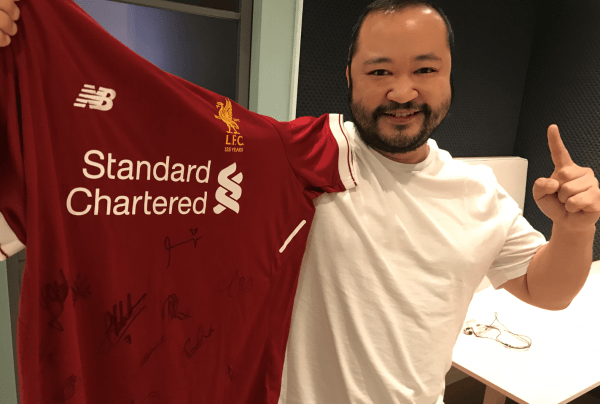 For Tony Chan, who was diagnosed with a brain tumour prior to Liverpool’s pre-season tour of Hong Kong in the summer of 2017, it was just that. The lifelong Red missed the visit of Klopp’s men as he focused all his efforts on his recovery and while football had to take a backseat, his sister, Helen, and Liverpool Football Club were not going to allow the visit to pass Tony by. He was sent well wishes from a number of the club’s legends and a signed shirt from the first team. This Is Anfield spoke to Tony and Helen, members of Hong Kong’s Expatriate Supporters club, about their incredible story and the heartwarming gesture from the Liverpool family. Tony was born and raised in the United Kingdom and has been a Liverpool fan from a very early age, so the rare chance to see the club in action following his move overseas was grasped at every opportunity. “Whenever Liverpool come over, which they hadn’t in about 10 years, my brother always gets tickets to watch the matches, and for anything that involved them he was there. “This time round straight away my brother bought tickets for the games and all the activities. “But, a couple of weeks before they came over he was rushed into hospital and they found a huge brain tumour, and then obviously he couldn’t take part in Liverpool’s visit. “In June 2017 I was at work and went out for lunch with one of my colleagues, and after we ordered our food we were just having a chat about football and for some reason as I was talking I started slurring and it felt like the world was slowing down. “I then blacked out and the next thing I know some people are lifting me up and putting me in an ambulance. My friends had said I had a seizure which I’ve never had before in my life, so that was a bit crazy. “I then went to the nearest hospital and had a quick scan, a few minutes later they told me I had a tumour on the brain. “It was a meningioma on the right-hand side at the front of my brain and it caused a lot of pressure on my head and that is why I had the seizure. “Luckily, we found out later after a few more tests that it was benign. 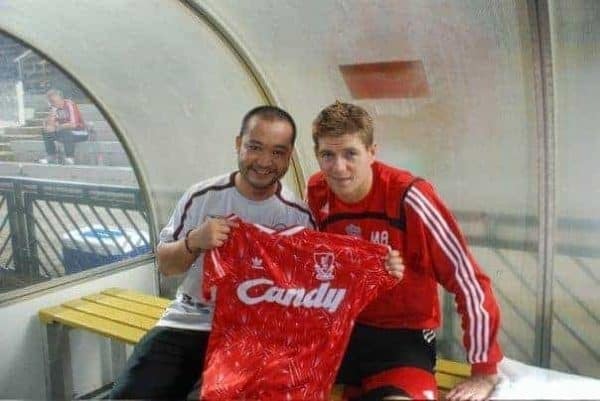 “I was in hospital and my sister and brother came to visit me, and I remember telling them I was gutted because I had tickets to see Liverpool in Hong Kong at that time, but I had to sell them straight away as my health had to come first. “I had a six-hour surgery and it went very well—my head was killing me, but they said they had removed as much as they could. “After that I just felt really blessed, and really happy to be honest, that I didn’t die. “I’ve got two kids and my youngest at the time was only about seven or eight months old and all that was flashing by me—and when they say life flashes by it really did. With Tony still recovering in hospital Helen set out to do whatever she could to bring Liverpool to her brother while they were in town. And while she did not expect the extent of the club’s support on top of her own efforts, it was a gesture which was treasured by the pair. “We mentioned him to the club through the supporters’ group and they arranged a signed shirt by the team to give to him as he couldn’t make it,” Helen said. “Unfortunately, he couldn’t go and collect it himself, but it was really nice of them. I didn’t expect it. “One surprise I did was just a little thing I did with my friends and family and I had asked if they could take pictures holding a note wishing him well. 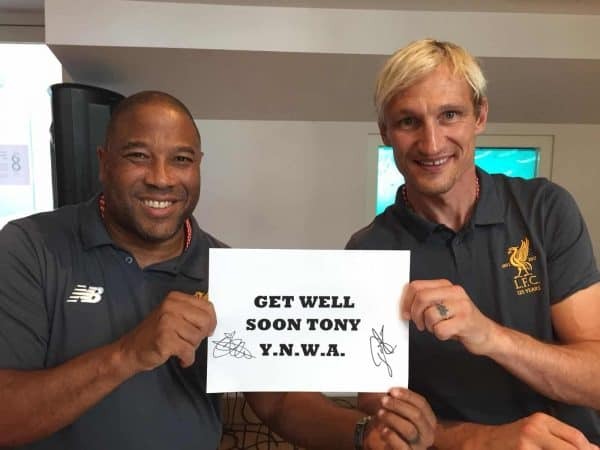 Tony, meanwhile, said: “While I was recovering in the hospital my sister came by and surprised me as she got all my friends and the Hong Kong Expat supporters’ group to sign a ‘get well soon’ card. 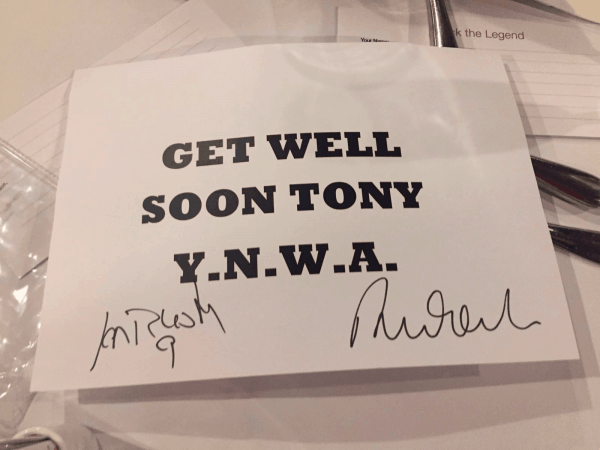 “Somehow, she even got some Liverpool legends to sign the card and I was given a photograph of them signing the card and everyone sent lovely messages. “It gave me more strength to carry on and to recover and it just felt so good, especially seeing the real Liverpool Legends in the photos as well, knowing they actually took time out to write me a message, it was just unbelievable. “And then to surprise me later on while I was recovering after I went home—I had to take about two or three months off work—my sister came to see how I was, and she gave me a bag with the official Liverpool badge emblazoned on it. “I opened it up and it was the best surprise. It was a signed Liverpool shirt from all the current players and that was the closest thing that brought me to tears—it was a really nice surprise. “Salah had just joined as well so his signature was on it and it is something I will keep forever. “After a few weeks out of hospital I had enough strength to go watch one game with my sister at the supporters’ club, and I needed to go and thank everyone for helping me recover. “As soon as I walked into the bar they were all cheering and it felt great and gave me more strength. Thanks again to Tony and Helen for sharing their story. You’ll Never Walk Alone.